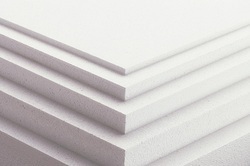 We are offering a wide range of EPS Thermocol, is BASF's crack resistant tough elastic foam with smooth haptics and excellent solvent resistance which can be stored, processed and recycled just like the classic styropor. Reckoned amid one of the credible market names, we are willingly engaged in offering to our patrons EPS Thermocol Sheet. With an objective to fulfill the ever-evolving demands of our clients, we are engaged in offering a wide assortment of EPS Thermocol Packaging. 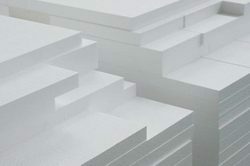 Our clients can avail from us a wide gamut of EPS Thermocol Sheet.